Here's the second part of the "Over the Hill" party pack. You get 3 cupcake wrappers, 9 two and a half inch circles, and 16 mini flags. And, once again, you can download these for a 30th, 40th, or 50th birthday party. Just click on your choice of download. 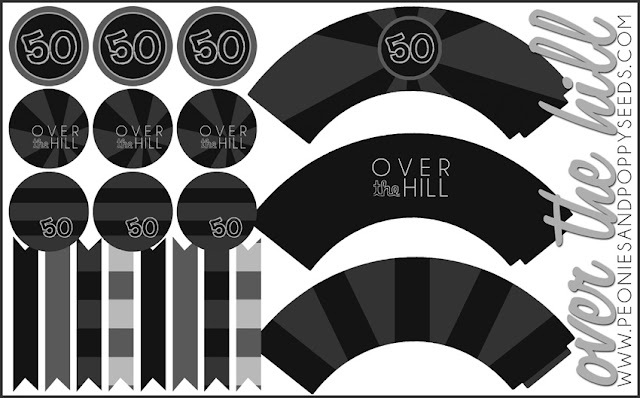 Look for more of the Over the Hill Party Pack coming later this week!